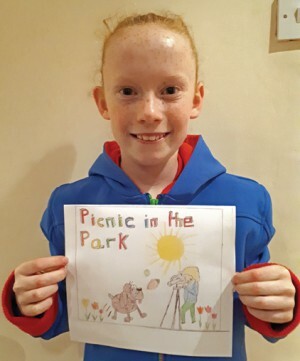 A record number of entries made the choice very difficult, but the colourful winning design was created by 10-year-old Winnie Padmore. Organisers would like to thank all participants. As in previous years, visitors to the event at The Meadows can enjoy a full entertainment programme and more than 50 food and activity stalls; new attractions this year include a display of vintage motorcycles and an opportunity to join in with a game of walking netball. Speed demons can compete in the Go-Kart Challenge – visit http://www.alvechurchpicnic.org for more details, the rules and online entry form. The Picnic begins at 11am with the Dog Show before an afternoon of entertainment and activities from 12noon until 5pm when you can head over to the Cricket Club for more live music, karaoke and family fun. The raffle offers prizes such as a day’s boat hire from Alvechurch Boat Centre, £100 voucher from At Home with Lou and a season ticket for Alvechurch FC. Tickets will be on sale soon in The Lounge and in the Square on the mornings of April 6 and 13, with all profits going to The Lounge and the Hopwood Play Equipment Project.